The issue of confidence comes up over and over when talking about investment in the agricultural sector, says agricultural economist Wandile Sihlobo of the Agricultural Business Chamber of SA (Agbiz). Surveys show despondency in the industry, with key risks being seen as climate change and land reform issues. "Confidence drives growth in SA’s agricultural economy," he said at the annual Nedbank Vinpro Information Day for the wine industry, which took place in Cape Town on Thursday. It is estimated that the local wine industry would have to make investments in vineyards of about R13bn over the next ten years. This will, however, not happen if confidence levels in the industry do not increase. "Even our Minister of Finance, Tito Mboweni, has said that confidence is needed to spike up investment in the agriculture sector," said Sihlobo. "Confidence is about having belief or faith to trust government or business to deliver on something. These include issues of perception and sentiment. All the discussions about agriculture are currently very subjective and depend on who you talk to, so how do we make decisions on what drives investments and growth in SA?" He emphasised that without increased confidence, there would not be the investment politicians want to see to ensure growth in the SA agricultural sector. Sihlobo, who is on President Cyril Ramaphosa’s advisory panel on land reform, said climate change and land reform were the two key issues repeatedly raised in discussions in the sector. Policy certainty is, therefore, needed. "At least for now you can feel relatively better about land reform than at December 2017, when we first heard there would be expropriation without compensation (EWC)," Sihlobo told the farmers at the Vinpro conference. "I guess it can be confusing given the many processes relating to land reform, and politicians sometimes saying not the same thing," said Sihlobo. He added that the minister of agriculture had recently again emphasised that government would look at vacant land, and land not used or land indebted for some time without much activity on it. "So, the issue is now maybe what do you define as vacant land or under-utilised land? There is a discussion with the president on restorative justice, but also a sense of the importance to have growth in the agriculture sector," said Sihlobo. In his view, the best thing those in the agriculture industry can do is to be involved in the process. "The new expropriation bill is not as radical as one might think. We on the advisory panel also think carefully to prioritise growth in the agriculture sector," said Sihlobo. "So whatever we put in place will be cognisant of this. At least know there is someone looking at to ensure growth and sustainability in agriculture." 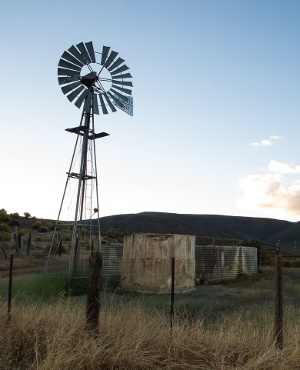 In Sihlobo's view, "once the land reform story has been put to bed", the issue of water rights regulations will come to the fore.